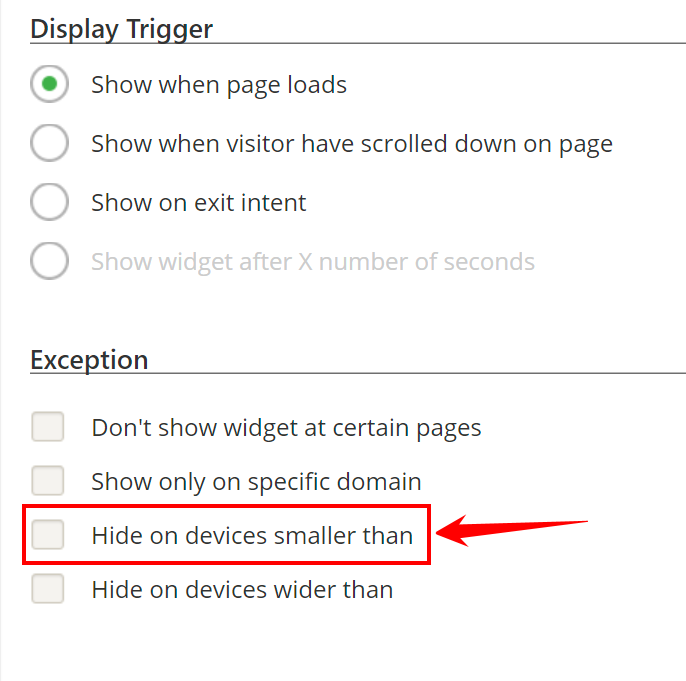 This guide will teach you how to disable your Widgets from showing up on mobile devices. There is also a guide for all the standard screen sizes in the bottom of this post. 1. Create a widget, and navigate to When to show in the submenu that appears below the main navigation. 4. Write 767px to hide it on all mobile devices. Note: This will also hide your widget on all screens that are smaller than the width you select.